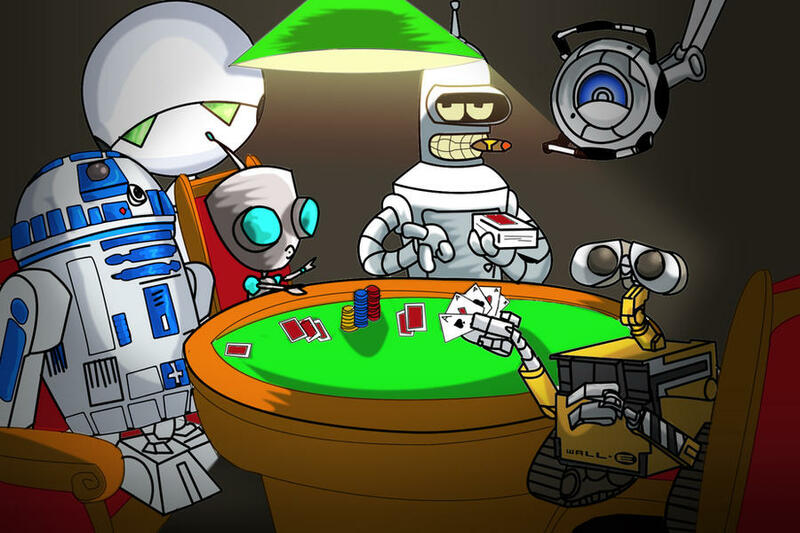 Shanky Technologies Poker Bot Support Forum | General Category | Marketplace: Profiles | Topic: TENSOR - FIXED LIMIT 6 MAX ---> Over 1,5 million hands graph inside <-- Only 69$ 0 Members and 1 Guest are viewing this topic. Payment and computer ID sent! Hi Sharckattack, the profile plays againt 3, 4 or 5 opponents, when there are 2 opponents or less it sits out. Hi, the stacksize is not a problem in Fixed Limit. That's perfect for the rooms with all in bug and stacksize reading problems, like cake or 888. Hi Asfaltas, I have just sent your profile for your new computer id. Yesterday I was out of my city, sorry for the delay. I didn't really want to do this, but I promised myself I'd put up a 10K graph since funkador asked earlier in the thread if a customer could. I have a new baby and couldn't play too much, but I made it to 10K at least. I play at a tough site, and so far it has only done good at the lowest stake, but that isn't to say it won't do okay at a slightly larger stake on another site. -I changed my sit out options for opponents to be opponents < 3 ... this means that it will sit out when there are less than three opponents instead of 4... you can do whatever you like though. First of all I want to thank Mrphil for posting a graph and for his feedbacks and logs. Thanks to him and some others profile buyers I am now working on Tensor 1.1, which have some improvements, and I'll sent it to all the profile buyers once it has enough improvements (I don't like small updates, I prefer to release a new version with many improvements). On the other hand: nice graph Mrphil! note that cake is a very tough site, and the rake is huge, there are very few winning graphs from cake because of this. Most of the earnings from cake come from rakeback, monthly reload bonuses, gold chips and gold cards. Tensor is a great way of avoiding the "all in bug" at cake and get some earnings from this site. Anyway currently there are very few Fixed limit tables in cake, and there are only FL 4 tables available. Because of this if you want to get the juice from Tensor I recommend you to play at 888 or Ipoker, where you can play six FL 10 tables simultaneously and play a big amount of hands. As you can see you can easily earn around 300$ every 100k hands. All the hands were played at FL 10. Some of the profile buyers told me that they are playing with the profile at FL 20 and FL 25, but I prefer to play FL 10 for some reasons: firstly, the profile was originally designed for FL 10 (perhaps I'll release in the future a especific version for FL 20 and FL 50), secondly, I feel more confortable winning with clearance, with a good winrate, especially if I don't have a very good rakeback offer. I would play another site if I could, but I'm American ;P (and I have issues with Bodog unfortunately ). I didn't know you were going to create an update. Would you like me to send you additional bot logs of suggested play? I didn't think there would be an update, so I stopped looking for things. Hi Mrphil, I like to offer a good support so when I find a play which can be improved I fix it, and I will release an update once there are enough improvements in the new version and I have tested it propertly. Of course if you find questionable plays they are welcome Anyway I have to say that the profile is very solid and is difficult to find ways to improve it. If I had to adapt the profile especifically for FL 20+ I know several things I had to modify, but the profile is designed for FL 10 and it's really very good adapted to that stake. The question is if he need to add that line. And the answer is NO, don't worry about it, you don't need to add that line. Why? Because that line forces the bot to detect the game as Fixed Limit game, and almost always the bot automatically detects the game type. I have tried my profile in 3 different computers and always the bot detected the game type as fixed limit automatically, without adding that line. Also many customers have sent me logs and only in 1 case the bot detected the game as No limit. Also since Mrphil told me about this I have added that line to the profile to asure that the bot detects correctly the game type. I have a pretty decent preflop code for 9 max FL tables, and was wondering if Tensor's postflop play could handle 9max? I'm thinking of adding my preflop 9max code using "opponentsattable > 6" at the beginning of each line in the .txt file , and having tensor fill in for the post flop play. Do you think Tensor could handle 9max postflop play at low limit tables for FL , or do you think it would require a whole different approach/profile for adequate post flop play on 9max? If it works, this could add a lot of applicable tables to play on. Just want to know what you think. Hi Phil, the truth is that when I played Limit poker manually I spent most of the time in 6 max tables, but I think that the game doesn't change much postflop, so I think it would work quite good with a good 9 max preflop. It would be an interest test to try it in 9 max FL tables. Please keep me posted if you finally try it, I'm interested on seeing the results. i will buy this profile if it is a proven winner at higher stakes like bovadas .25/ .50? playing 100k hands and beating the rake is very impressive however..